H W Morgan and sons have been making Hand Cleft Tent Pegs since 1920. This small family business is hidden down a dusty farm track, fully hidden in the heart of Herefordshire. It's symbolic of all that is traditional and now uniquely a British Family Business. 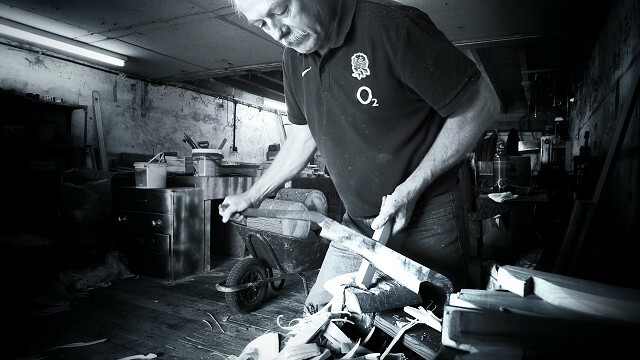 The workshop, now run by two brothers is a hive of skill that is completely original to only H W Morgan. It's unique because these brothers are using skills that were handed down by their father who was taught as a boy by his father, their grandfather. The pegs are individually hand made. Every one is hand crafted on a unique blade. The blade, that one brother uses is shaped to suit his way of cutting. The workshop is shaped around a family. Perfected, progressed and developed over the years. From making and sending 40,000 tent pegs to the Falklands in the war. Incidentally, the boat was sank and the MOD had to order the same again! To the thousands of handmade tent pegs that the brothers hand craft now for Glastonbury and other festivals, not to mention all the campers who are held together on a windy night.